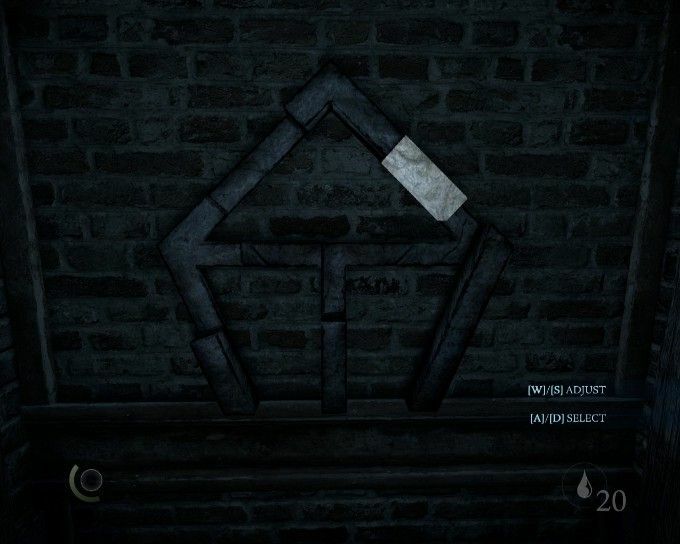 Early on in Thief, a mission requires you to break into a brothel in order to steal a book. 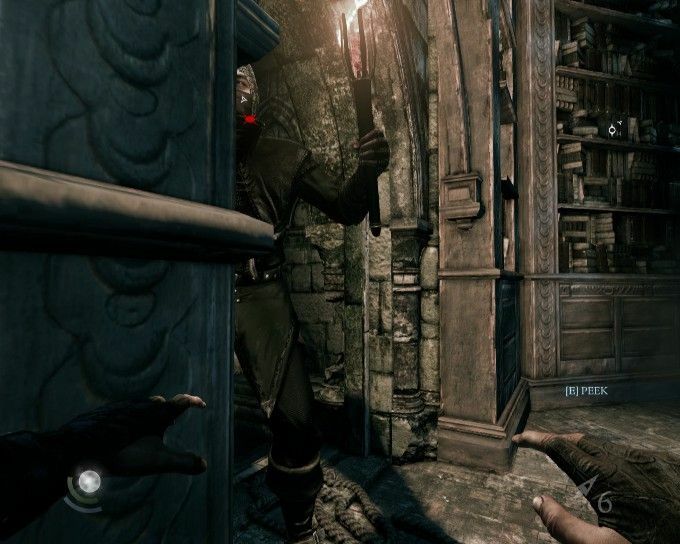 The brothel is hidden away in the sewers and an entrance to a subterranean library is hidden away in the brothel. Fans of the original Thief games (Dark Project, Metal Age and Deadly Shadows) will immediately recognize this library as a Keeper stronghold. And that is the Thief reboot in a nutshell - an occasional glimpse of the greatness of yesterday hidden behind the empty promises of whores in a filthy, depressing sewer. Despite that, I did enjoy playing most of the Thief reboot. The problem is it isn't a very good Thief game. It's an interesting variation on the Batman: Arkham games. And it wouldn't be a bad Assassin's Creed game or a Deus Ex prequel. But it lacks the spirit of the original Thief games. There are references to the original series everywhere but there's no heart under the finery. Don't believe me? Here's perhaps the greatest sign that Eidos Montreal had little interest in staying true to the stealth-based heart of the series. A mission goal for Combat Takedowns. Combat Takedowns. In a series built around the idea of avoiding combat at all costs. That says it all, doesn't it? Not only does the game allow you to just slaughter your way through every challenge, in some levels it encourages it! And there's no reward for taking the slow and stealthy path, save for an Achievement for taking more than 15 hours to beat the story mode of the game. Sure, you could look around for a grate that lets you crawl into the City Watch station and sneak into the prison unseen. But why bother when you can just kill the guards with explosive arrows? That's another sore point - the story mode is nowhere near as interesting as the thrill you get from the side missions. 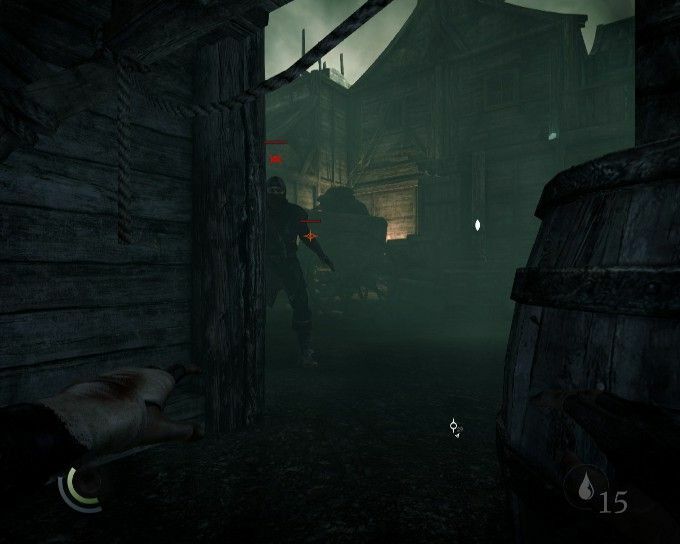 Maybe I've been spoiled by sandbox games like Fallout and The Elder Scrolls but the most enjoyable parts of Thief were the hours I spent house-breaking and running missions for my fences. That's rather a big problem when the story of the game is a distraction from the most enjoyable part of the game-play. What's really vexing is the game itself doesn't seem to take its plot seriously. The urgency of the original series' plots is completely absent. Without giving too much away, you find out after the first chapter that you disappeared for the better part of a year and nobody knows where you've been. This concern is immediately put on hold so you can steal a ring for your contact. 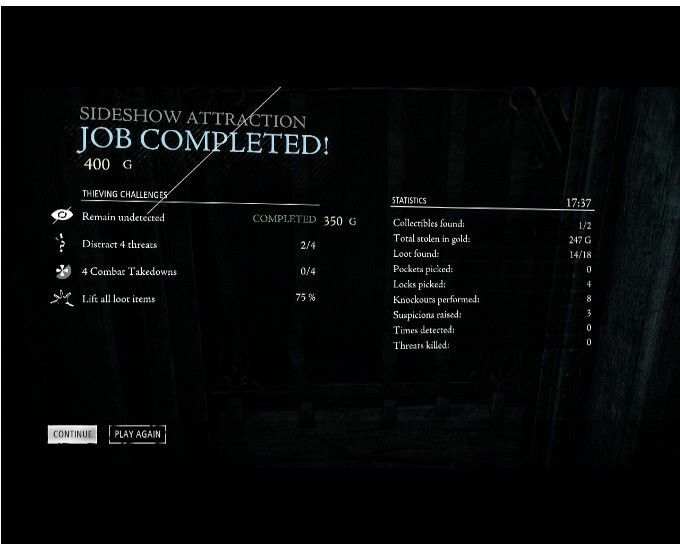 You get more hints that something weird happened over the next few missions but the game is halfway over before Garrett feels compelled to start figuring out what happened to him during the missing year. By that point, your main fence and the closest thing you have to a friend has been arrested and you have to go rescue him as part of the story quests. But first, you can do the DLC mission where you rob the city bank, whose starting point is right by the starting point to go save your fence. Another problem is that the missions are all short. Really short. Shorter than Deadly Shadows short. And while the world of the Thief reboot may have literally been built on the bones of the old world, the missions of this game are built on their spiritual bones. They try to invoke the feeling of the old games by ripping off the greatest moments of the old games. The minute Garrett announces that he has to break into an asylum, old-school Thief fans know what to expect and any sense of suspense is ruined as we go on a side-quest to Silent Hill. And then they pad it out with everyone's least favorite thing - sliding puzzles! I should note that there is one thing the Thief reboot did bring over from the original games, though. Buggy AI. I will get you! Even though you're standing in the light just around the corner from me! The AI is limited in their paths and frequently get stuck on corners. And thanks to lazy level design, there are many points where the hostiles have no way of getting to you, so long as you duck in the right places or climb up on the right object. If I could just kneel down or walk past that corner, I would get you! 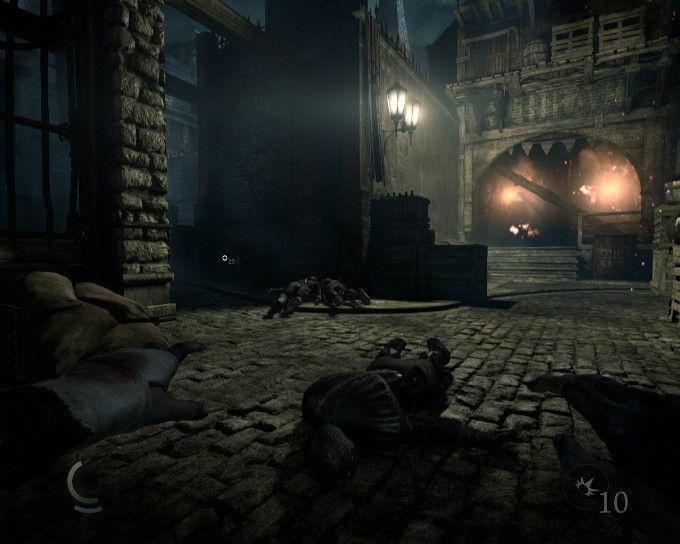 All in all, Thief may be worth giving a try in a few months when the price drops. Just don't expect to go home again if you're a fan of the original series.